All the recent events regarding the Temple Mount in Jerusalem have awakened my interest as to what role the Temple played in our past. 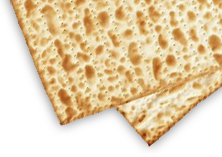 As the holiday of Pesach approaches, could you perhaps describe what it was like in Temple times? The number of people who went up to Jerusalem on Pesach was far greater than on any other festival. There are several reasons for this. For one, on each of the three pilgrim festivals, three mitzvot were performed: the actual pilgrimage of being in Jerusalem, the offering of the festival sacrifice and the rejoicing in Gd on the holiday. Pesach, however, had special Pesach sacrifices in addition to the regular festival sacrifices, and this was a great incentive for all Jews to come to Jerusalem from far and wide. In addition to the positive incentive to partake of the special Pesach sacrifice, there is also severe punishment, karet — being spiritually cut off from the Jewish People — for one who intentionally refrains from bringing this special offering, thereby refusing to participate in the collective remembrance of the redemption from Egypt. This was yet another reason for many people to arrive. Thirdly, while women are generally exempt from time-bound mitzvot, Pesach was the only festival in which women were required to appear. This also added to the many additional people in Jerusalem for Pesach. The Talmud relates that King Agrippa once wished to know how many people were in Jerusalem during the pilgrim festival. He asked one of the kohanim to set aside one kidney from each Pesach offering, and the number came to one million, two-hundred thousand. But this was not the full number of Jews since there was not a single Pesach lamb that was shared by less than ten people. That means that there were literally many millions of Jews in Jerusalem during Pesach! People seeing Jerusalem today may wonder how it could have absorbed so many millions of pilgrims, kohanim, and levi’im — in addition to its normal population. How could this small city accommodate them all, how could they all have celebrated in its midst, and how could they all have entered into the Temple courtyard in order to sacrifice the Pesach offering? Our Sages recall that when the Jewish People were at home in their Land and the Divine Presence dwelt among them, no person ever said, “There is no room for me in Jerusalem” or “There is no room for me to sacrifice on the Temple Mount”. Yet this is nevertheless not listed as one of the ten miracles which took place in the Sanctuary. This is because it is a natural characteristic of the city, that there is room within it for all her children who come from near and far. But if they should cease to come, Jerusalem “shrinks” and seems too small to be home for all. The excitement in anticipation of the pilgrimage commenced thirty days before Pesach when people began to discuss and learn the numerous and intricate laws and customs of the holiday, during which time people traveled from great distances in order to arrive before the festival. The burnt-offering brought in honor of appearing in the Temple on any festival, in fulfillment of the verse, “They shall not appear before Me empty-handed”. This was consumed on the Altar and not eaten. The peace-offering in honor of the festival, in fulfillment of the verse, “You shall celebrate three festivals a year for Me,” where the word “celebrate” refers to offering a sacrifice in honor of each of the festivals. This offering was eaten. The peace-offering of rejoicing referred to in the verse, “You shall rejoice in your festivals”, where “rejoicing” is expressed by feasting on meat in honor of the three special pilgrimages. The Chagiga, which was also a peace-offering, and was eaten specially for the Pesach Seder meal in order that the special Pesach lamb would later be eaten with the composure of satiety. The Pesach-offering itself, which consisted of a perfectly unblemished male lamb or goat, and was relished sizzling hot off the roast at the end of the festive Seder meal! May we merit partaking of the sacrifices and special Pesach offerings in the rebuilt Temple in Jerusalem speedily in our days! Amen.